Rockport Art Association & Museum’s mission is to foster the creation and appreciation of the fine arts through a rich and diverse program of exhibitions and educational offerings. 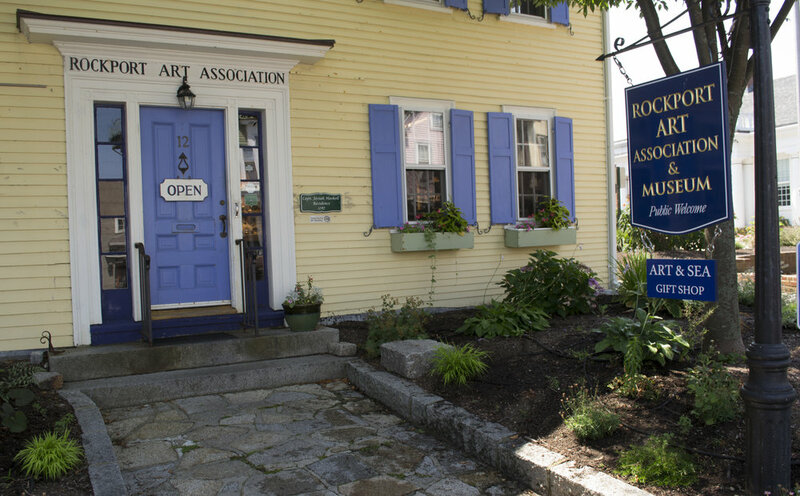 RAA&M provides opportunities for a wide range of people to engage with art, maintains an impressive permanent collection and carries forth the legacy of its founders by inspiring and cultivating artistic excellence and creative community on Cape Ann and beyond. As we begin our 98th season, first let us share some of our accomplishments from this past year, including: the offering of a wide range of workshops, adult and children classes, sketch groups, artist demonstrations, gallery walks, lectures and the installation of almost fifty exhibitions. For artists, learning and creative growth never ends. Seize the opportunity to take part in our extensive educational offerings including workshops, artist demonstrations, gallery walks, guest lectures, weekly art classes and sketch groups, creative community paint-ins and a free veterans art program. Rockport Art Association & Museum hosts a variety of exhibitions over the course of the year, highlighting both the Artist Members and Museum Collection of Cape Ann School artists, such as Aldro T. Hibbard, William Lester Stevens, Theresa Bernstein, and more. Additionally, the RAA&M schedules a number of Special Exhibitions of traveling shows, as well as collector's shows. For more than 150 years painters have visited the picturesque towns that make up this unique area of Cape Ann. Playing host to many of the very best, most celebrated artists in America from the 19th century to now, including Aldro T. Hibbard, William Lester Stevens, Theresa Bernstein, Harry Vincent, and more. The RAA&M Permanent Collection contains several of these artists. Moreover, the Adopt A Painting Program seeks generous donations for the conservation and preservation of works from the Permanent Collection to inspire future generations. The Art & Sea Gift Shop at the Rockport Art Association Museum showcases local handmade jewelry, wares, as well as other small trinkets. Please check back often because our selection is always changing.